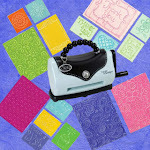 Loves Rubberstamps Blog: A Gorgeous SNIFF! Happy Holly Day Friday! Well, our humongous storm ended up being not as bad as predicted - for us anyway. We didn't get any wind hardly, and only about 6 or 7 inches of snow. No wind = no huge drifts to shovel so... YAY! LOL! Anytime I don't have to shovel is a good thing! This has got to be one of the cutest images! 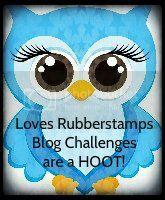 For our Loves Rubberstamps Challenge this week our special guest sponsor is Birdie Brown! These digi stamps are created by the amazingly talented Torico. 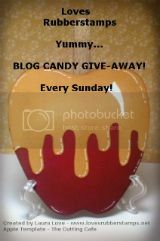 This is one of my many, many, MANY favorites that she has :) LOL! Holly did such a gorgeous job coloring this cutie! The colors are so pretty and those gorgeous "sniffs" are the perfect accent! Holly created those beautiful flowers using felt and her Mini Royal Roses Die-Namics and the Die-Namics Royal Leaves Set. So pretty! Holly makes me need every Die-Namics Die I see her use on her projects! I think she has turned our entire Design Team into Die-Namics Addicts - LOL! To create some of her accents on her card Holly used the gorgeous Crochet Border Die-Namics and the My Favorite Things Circle Stax. What a super adorable card! Totally love it! Have a great day! May it be full of wonderful "sniffs" because believe me... there are some unpleasant ones...especially when you have a husband and sons - LOL! only 6-7 inches of snow huh? lol. That would be a disaster where I live, lol. Glad you didn't get the storm predicted. 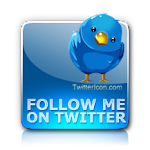 Sketch places are all on my blog sidebar and I link to them regularly. The trick is to find many many sources that have sketch challenges so you have a variety to choose from and not worry about if you can get into their challenge or not, lol. So I pick my image and then I pick which sketch would showcase it the best. Thanks, I love this cute little gal and I do LOVE my die-namics!